The next lecture was Rebecca Winthrop sharing her work on Leapfrogging. From the sounds of it, Brookings is naming something that individuals have done for ages–learn from others’ processes and opt to skip steps of development where possible–to help organizations and systems intentionally look for opportunities to do the same, accelerating their development. Examples of leapfrogging would be countries opting not to lay cables for landline phones and organizations opting not to build brick-and-mortar bank buildings (presuming they haven’t already done these things), focusing their resources instead on cell phone service and mobile banking. The question I wrote down was “What have we assumed is necessary but we’re actually just emotionally attached to and can release to accelerate positive change?” Our industrial model schools, perhaps? Then Rebecca went on to show a rubric for gauging where an alternative education practice/system’s teaching and learning are in relationship to our conventional models versus the “breadth of skills” (aka 21st century skills) model the research says we should be reaching for. We did an exercise where we got into groups and discussed where each of our projects would be on the rubric. I laughed…ALC was so clearly it that my group was urging me to share if Rebecca called for volunteers to talk about their group’s conversation. “Leapfrogging,” a gentleman phrased it to me later, “would be a country going straight to building centers like yours and training facilitators instead of developing a school system.” Usually I’m not into men I just met telling me about my work, but in this case it was affirming and exciting. I’ll be reading the Brookings research before the summer season of trainings starts, for sure. Next I went to a session on BRAC’s practices. I learned that they involve community members in setting up their centers from the start, asking them to help find a location they feel safe sending their children to and asking them for suggestions of which local young women to train as staff. 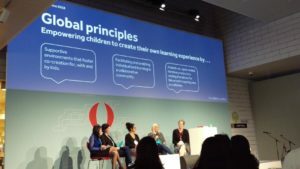 I made a note to share that practice with some of the start-up groups in Mexico who had been asking about parent safety concerns…It makes a lot of sense to me. I learned that their training for the young women playworkers (they intentionally pick girls and young women from the community, to develop their skills, empower them, and offer them work experience) typically includes about 5 days of theory, practice, and monthly check-ins with other playworker/facilitators. Sounds familiar 🙂 Finally, I learned that they include parents and other family members by offering workshops, encouraging volunteering, and organizing space-work days where they provide materials for parents to come in and make toys together. Clearly the approach was carefully designed to empower and enrich whole communities, and I was delighted to learn how successful it’s been. It’s the kind of approach to change-making that I’d love to see way more of in the world…something I thought about when at one point I turned around to start an activity and saw that Sir Fazle Abed and his wife were both in the session with us, participating. 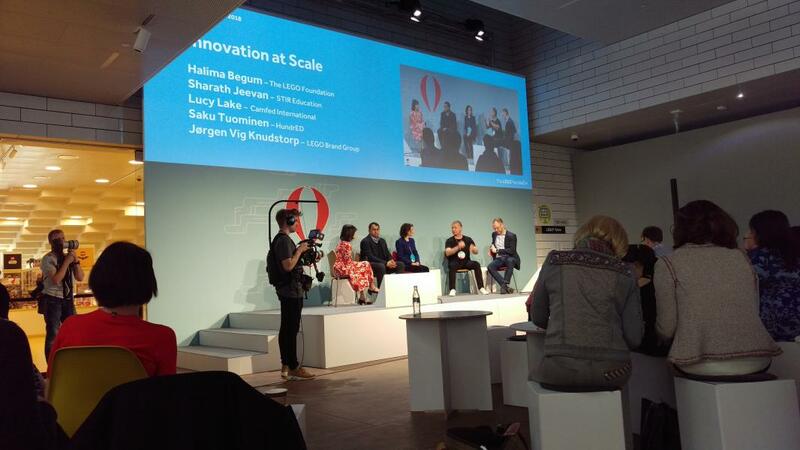 The afternoon kicked off with a panel discussion about global scaling. Sharath Jeevan of Stir offered an illustration of nonprofits working to influence governments as ants biting an elephant, powerful only if they’re strategic, that I’m going to save for when we get into the work of advocating for SDE-friendly policy changes as a network. My notes on this conversation are a bit fragmented, but I highlighted ’embracing complexity while seeking simplicity’ and ‘build platforms so people can do the work of applying your idea on the ground where they are’ as themes. Saku Tuominen of HundrED said near closing that one of the reason innovations don’t catch on and spread is that those doing the work don’t take time to broadcast. He’s right…It’s something that’s been on my mind in relation to ALC for a few months now. We have to share generously, and that means valuing sharing enough to intentionally protect time for doing so. My last workshop of the conference was one I sort-of ended up at by accident. My brain was too full, and I got the numbers of the sessions I’d signed up for all mixed up. 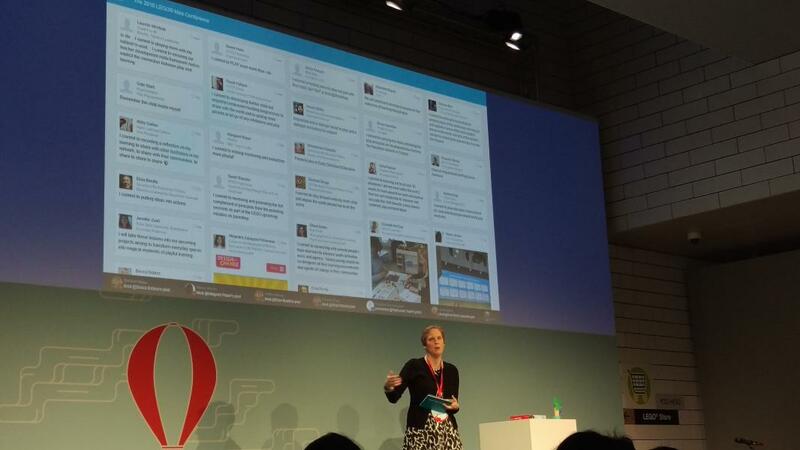 It worked out though; I ended up at the South Africa Cares session on “6 Bricks” exercises for kids and teachers. I hadn’t been looking for a session on classroom exercises, but I’m really glad I ended up at this one. First, it sounds like their organization does some really cool work, and I’m excited to now know about them so I can read more once I’m settled back home. Second, I recognized that their exercises incorporate Brain Gym movements, so I got to have some really interesting conversations about that and am back to wondering if I should find someone to teach me more about their therapy model. So cool. We went back downstairs to hear from a panel of observers sharing harvests from the sessions they’d been in that day. Then Kiran Bir Sethi shared a framework her schools use that sounded so much like the ALC 4th root that I sent a photo to the facilitators who have been working on re-wording that root (it’s the principle about learning being a process that includes intention, exploration, iteration, reflection, and sharing). 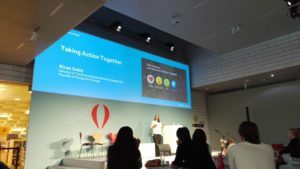 She also shared an adorable video of her kids doing their project-based-learning stuff and being awesome, remarking that once a kid experiences being a catalyst for change, the way they relate to their world changes. It’s so good to know there are people all over the world raising empowered kids. Gives me hope. And just like that, we were at the closing session. I committed to record a video reflection, but I’m writing two blog posts instead (I’m recording a video on something else tomorrow…). Made some music with everyone to close the event out, video-called the NYC kids (just like I did from Mexico! 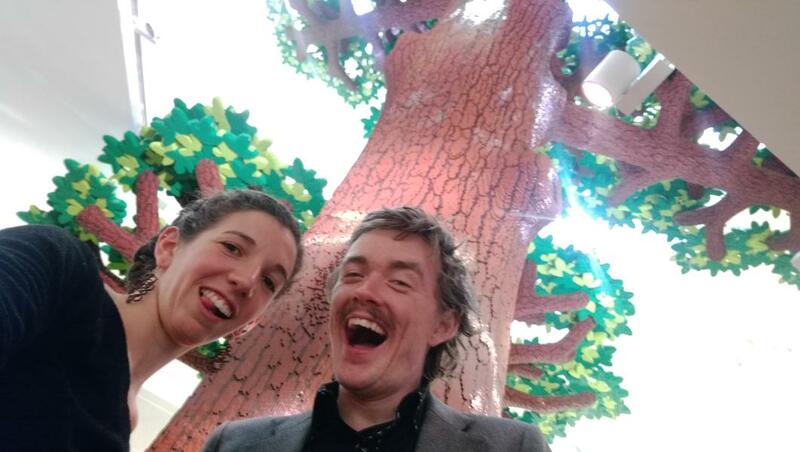 Gotta love tech…), took a silly selfie with Liam under the giant LEGO tree, said good-bye to new friends I’ll hopefully cross paths with again someday, and prepared for the long journey home.